The first time I went to Hawaii, I was 17 years old and it was a volleyball trip for my high school team. We spent a week in Honolulu before school started, playing in a tournament with teams from around the islands and the nation. I was hooked. Five years later, after my first year of teaching, I went back. This time to Maui, where I felt an immediate soul connection. Maui was magic. I made the trip about every two years after that, with some of my best girlfriends. I couldn’t get enough of Maui. Ten years later that all made sense when I met Shea. He grew up on Maui, in an honest-to-goodness sugar shack in the middle of a plantation. 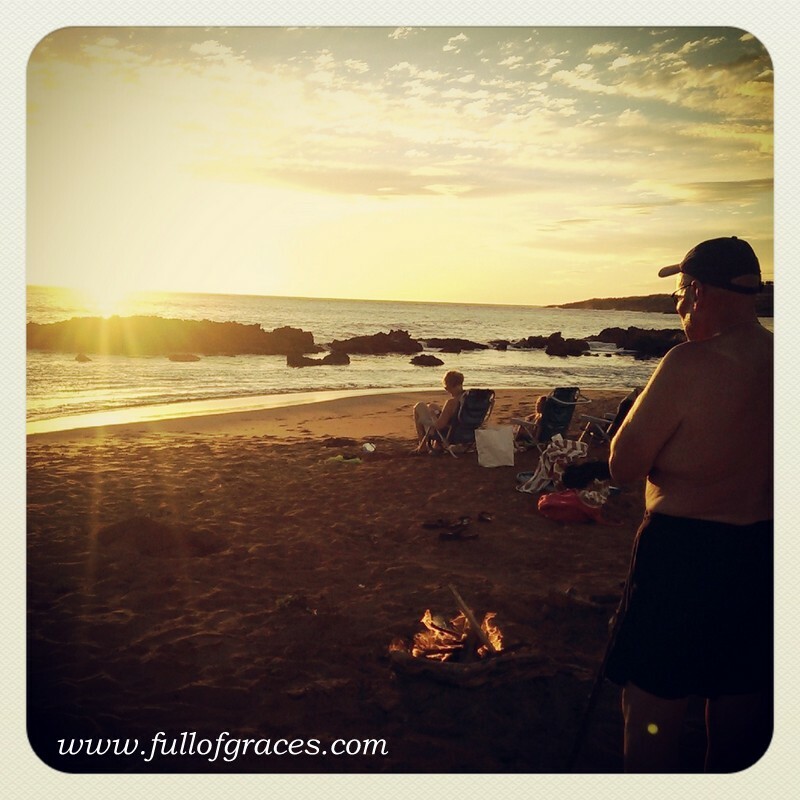 Our first trip together, he showed me kama’aina Maui, places tourists rarely go. And I showed him haole Maui on the Ka’anapali side. Hawaii is important to us. The lifestyle and culture are an intrinsic part of who Shea is, and he wants to share it with our kids, who are natural water babies and fish eaters. They revel in the feeling of warm sun on their shoulders, so they take to Hawaii like they were born to it. Which, in a way, they were. We just got back from a week in Kauai with my parents, where we snorkeled, body boarded, jumped waves, zip lined and ate fresh mango, coconut and fish. The Hawaiian people are enormously generous and kind, but even more so once they find out Shea is kama’aina. For Hawaiians, this makes us ohana. Wow, right? I just wrote about keeping the Sabbath and here was this sign, like a…well…sign. See how it doesn’t say CLOSED? CLOSED is a brusque, unfriendly word that conveys a feeling of nothing. OHANA DAY is a whole other feeling. It says “We’re with our families. You go be with your families. It’s all good and love. We’ll see you here tomorrow.” Most of the non-super touristy places were closed on Sunday. And the parks and beaches were packed. How’s that for some Sabbath? So we did. We gathered driftwood, which the Eagle Scout (my dad) turned into a perfect beach fire. We swam in the dusk, roasted hot dogs and watched the sun set. Amazing. 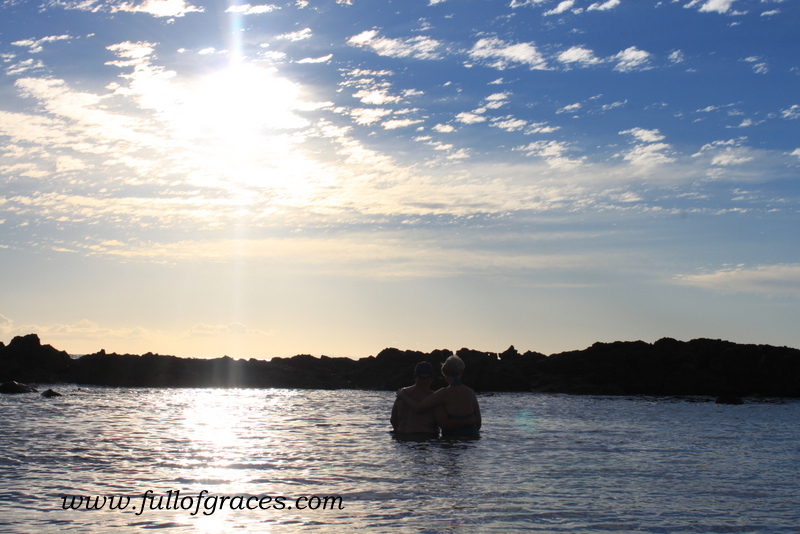 Then on our last night, we went to Po’ipu Beach to watch the sunset. There’s this cool little cove that’s a natural kiddie pool—protected by rocks, only 18 inches deep. After dinner, Gabriel was out hunting crabs in the rocks with a bunch of boys when they started screaming. You know I thought “Shark!” before my brain processed that they weren’t running away, but towards whatever it was. Then I heard TURTLE! 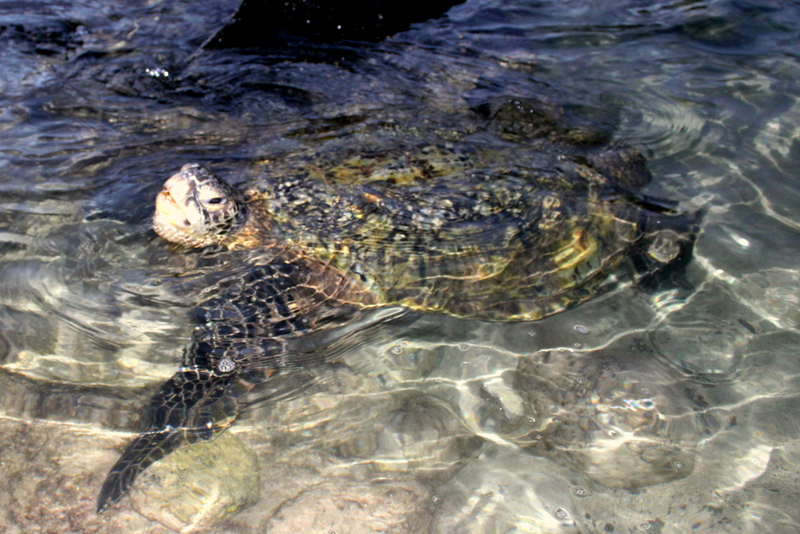 And sure enough, three huge honu had risen off the rocks right where the boys were playing. Scared the bejeezus out of them, since the smallest turtle was at least 4 feet long. Hawaiian Honu, green sea turtle.This one was at least five feet long and two feet away from me! Hawaiian honu are special. For native Hawaiians, they represent longevity, peace, humility and the spirit within us all. I feel that when I see them. They seem divine in some way, like they know God. There’s also a legend that the first honu, Kauila, could change herself into a little girl, and that she watched over small children playing on the beach. 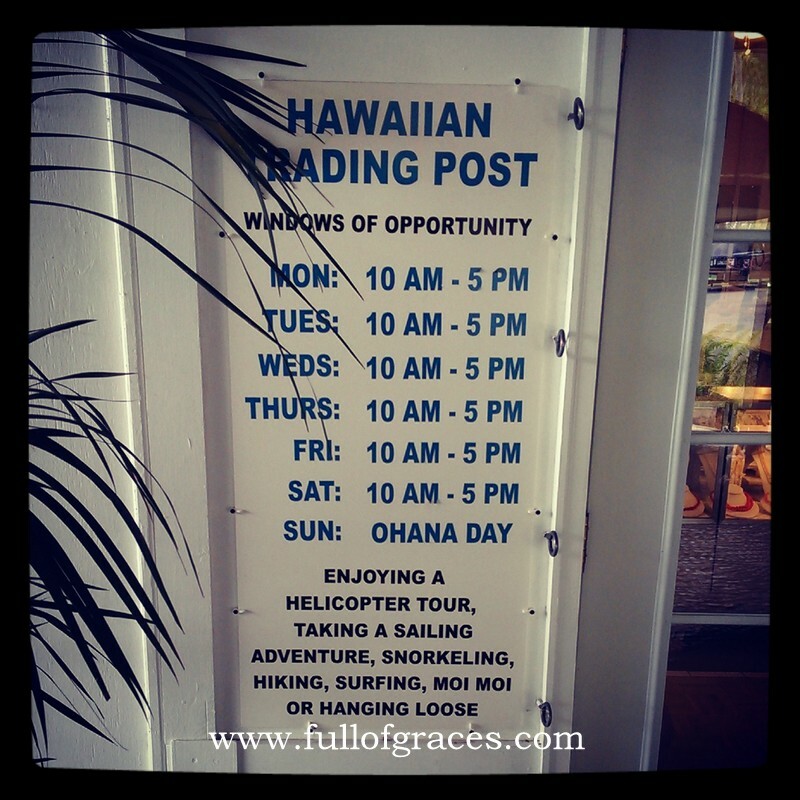 I love the honu. I have three tattooed on my ankle to represent my babies. It was a special gift to see them that close on our last night. My mom and dad, still loving life and each other after 45 years! 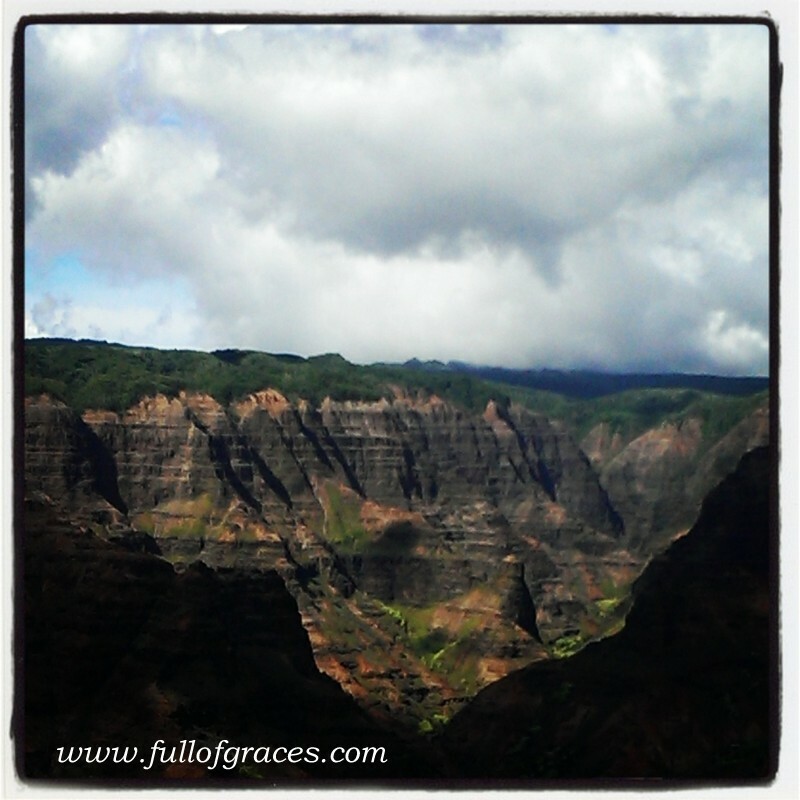 Waimea Canyon, smack in the middle of Kauai. I really can’t say enough about Hawaii. I know that it seems a world away and very expensive, but for us, it is no different than traveling to Mexico or Portugal or Croatia to take the kids back to the motherland. And it might not be as expensive as you think. Check it out! Hi Jen! I loved reading this, especially since I’m in the process of planning a family trip to Hawaii for next summer. Can you please let me know what hotel you stayed in? That view is gorgeous! Hey lady! 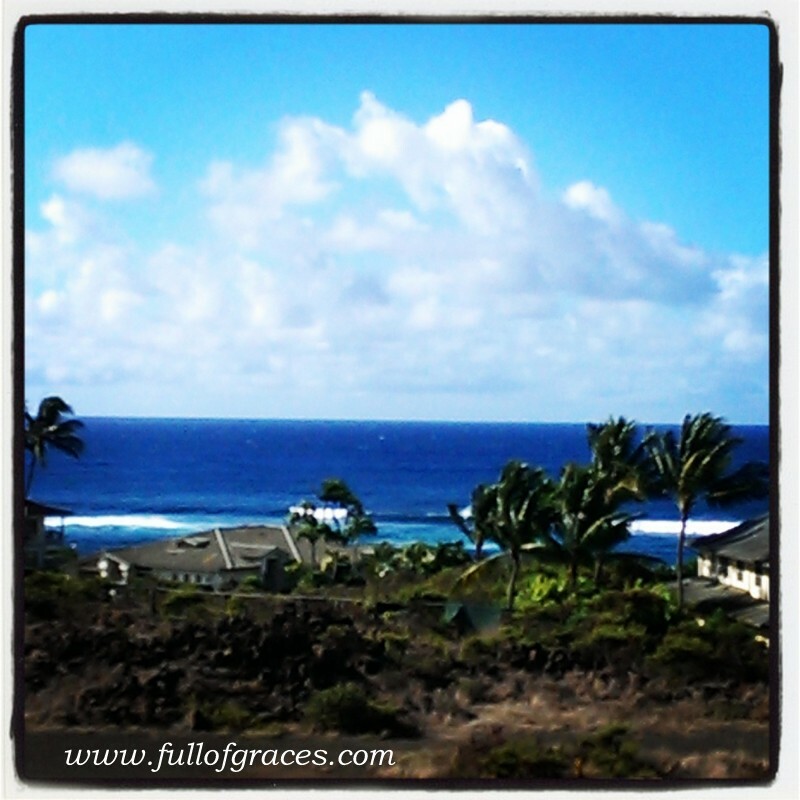 We stayed at the Koloa landing Resort in Poipu. 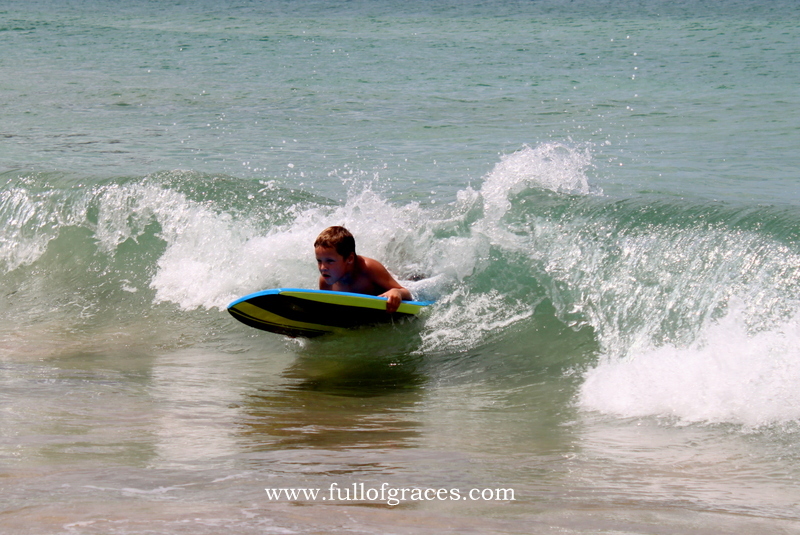 I definitely recommend Poipu over Princeville if you have little ones!